Brr it's cold this morning! Winter is starting to move in and so it's time to get out the hats and mittens! 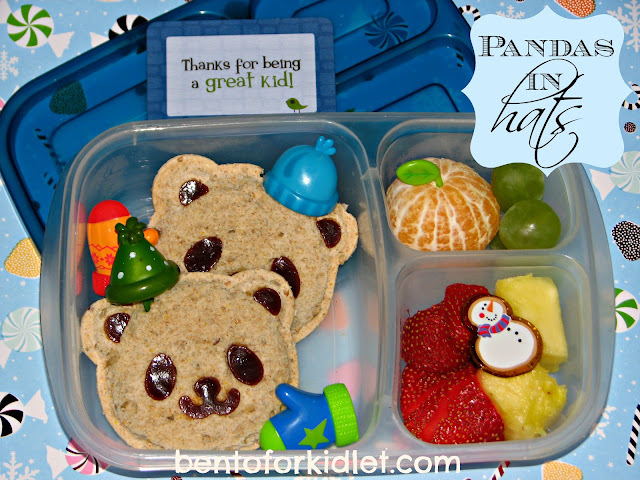 Even these Panda sandwich pockets needed to warm up! Those winter pandas are super cute! Yum, those Panda sandwiches look awesome!